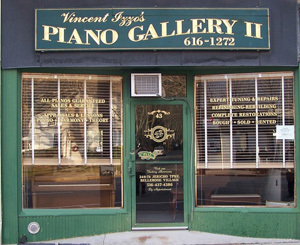 For over four decades, Vincent has been personally offering expert piano lessons to a diverse cross-section of students, ranging from novices to professional pianists. Proper technique is emphasized and whether a student is new to the piano or has studied for years, careful and patient attention is paid to ensure success through the many levels of training. Students are able to learn in a structured, well-organized manner and in a variety of styles and disciplines. 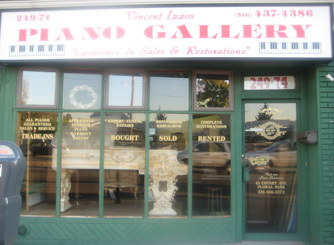 Call (516) 616-1272 to make an appointment to discuss your goals relative to the piano. Why Learn How to Play the Piano? Numerous benefits are obtained from the study of piano. However, to realize the benefits, certain criteria must be met. Finding a good teacher is critical. Having taught for over 42 years, I've heard some commonly voiced obstacles to taking lessons. A few of them follows: "My teacher hit my hands when I made a mistake." "I played in a recital and forgot the music and everyone laughed at me." I took lessons for years and didn't learn anything." "I didn't have any musical talent." These can all be attributed to a lack of proper training. No one should be forced to play in public if he doesn't feel good about it. With proper training, playing becomes a joy instead of a stressful situation. A sensitive, understanding and supportive teacher will know when it is the proper time to encourage the student to perform. Many older people think it is too late to learn how to play the piano. It is NEVER too late. All that is needed is motivation and interest and regular practice sessions. The only talent needed to play the piano is the ability to carry a tune. Another common misperception is that people think that they can't play with both hands together. This is part of the proper learning process along with note reading, a sense of timing, musical expression and proper technique-hand position and relaxation. Rome wasn't built in a day. With a good, capable teacher and regular practice, all of these concepts will be gradually understood and practiced by a motivated and interested student. Many times a parent will want lessons for a child when in reality the parent should be taking lessons. The child will become interested when he/she sees the parent playing. No one should be forced to study piano if they don't want to. This creates a tremendous conflict at later stages. There is no set age to start lessons. Good indications of interest in the piano are if a child asks for lessons, or shows interest in music, singing, etc. The student must have at least a minimal attention span to be able to follow instructions. There is a lot of truth in the saying, "If you don't use it, you'll lose it". Piano lessons involve mental skills, math, coordination, two hands and feet, creativity, musical expression, will-power, physical skills, memory, proper posture, good breathing and relaxation skills under pressure. 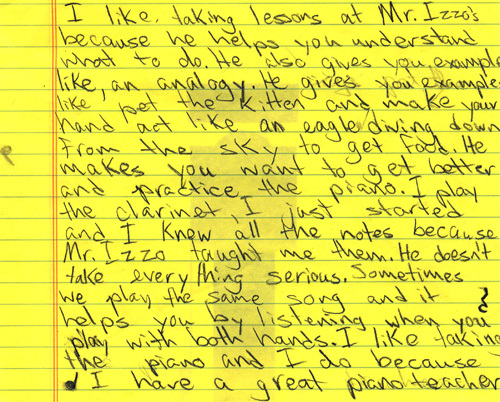 A happy, older student will feel and look years younger since music is extremely therapeutic, physically and mentally. Another common complaint is,"I don't like to practice." Practicing becomes fun when you see real progress in your piano skills on a daily basis. Knowing why you practice is very important. Knowing what you are trying to achieve with proper practice is motivating. Most people believe that playing the piano is difficult. This is only true if you make it hard with the wrong mental attitude. A good teacher can provide the proper instruction and motivation to ensure that you play the piano effortlessly, effectively, remarkably and with much enthusiasm to grateful audiences.